How Do You Deal with the Winter Blues? I confess that with the beautiful temperatures (low 70’s) we have, I am very thankful to be here and not in Columbus, OH dealing with ice, 5″ of snow and very slow traffic! This past Saturday, however, two special events that I was taking part in were cancelled due to the weather! It rained and the prediction included stormy weather. Not conducive for taking the family out for a couple of hours to leisurely stroll through a community event and certainly not fun for a women’s night out! I share this so that you know the weather is not perfect here! No matter where you live, there are challenges! So how do you make it through this tough mental and physical challenge? An article I recently read (I apologize for not taking down the source) gave a few suggestions that I further modified. * If you are a gardener, get out a gardening magazine and begin to dream and plan for your ‘next’ garden bed. * Start planning a short spring trip or event with a best friend or spouse. We have a corporate event in Dallas TX in late April that I know provides a great get-away south at just the right time! One of my Phoenix Toastmaster friends, Mary Lynn Ilnitsky, is a Certified Image Consultant. Mary Lynn gave a great seminar on Wednesday night, Ageless Style, and I picked up some great tips to ‘Live the Stage, not the Age!’ I’ll share them in another column. One of my takeaways: many of us, even if we have unlimited resources, do not know how to dress ourselves and it is of great benefit to get connected to someone with skill and expertise in this area. If you are in the Phoenix area, call me for Mary Lynn’s contact information. If you are not local, do your best to locate someone who can help you do a closet audit. I’m looking forward to my time with Mary Lynn! * Create! Take a class that teaches you a new skill. Adult Education classes provide abundant opportunities to explore new skills in a safe, inexpensive venue, taught by experts who are typically available to take you further down the path if you find it to your liking. I plan to be teaching a class “How to Create a Happy Body” in an upcoming session of an adult education curriculum. Contact me for details if you are in the Phoenix area. * Tackle a household job that you’ve been putting off: a closet, a spare room. That might simply mean organizing, but it might mean painting or re-decorating it in some way. Pinterest might provide some inspiration. * Get into some very comfortable clothes and get out some travel magazines. Cut out pictures of your next vacation destination and post them on the fridge. * Embrace winter! OK, those of you who know me would agree that this was something I never could do. It is why we are finally in the south. However, if you cannot relocate south, then making a mental shift would be helpful: not just being resigned to winter, but embracing it. I think this might be the most difficult approach…and I believe doing this would look differently for each of us. What do you do to handle the winter? I’d love to read your comments below. What’s Ahead for You in 2013? 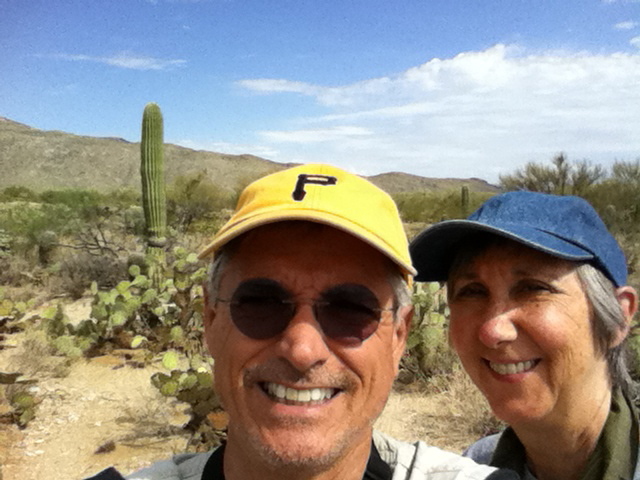 Living in AZ provides us with unlimited possibilities for hiking, an activity that Ed and I both enjoy. My bottom line description of hiking is taking a walk on a trail. That said, all hikes are not equal. Three weeks ago we revisited a hike in the Superstition Mountains. On that first attempt in January, 2012, we started out mid-morning on the Garden Valley Loop Hike, an 8 mile, 5 hour hike. We got back to our car as the sun was setting behind the mountains, and pulled away with our headlights on! For more of the drama- and the lessons learned- read my previous blog post. As we re-walked the trail we were impressed with the challenge of the terrain. We didn’t remember it being so difficult: bald rocks, washes to cross without markings, trail signs (cairns- piles of rocks), many, many natural steps both up and down, narrow passes, broad flat lands…and almost always, rocks of various sizes covering the trail. The variety in the trail prompted me to take a number of photos. As I walked over and around the rocks, I thought about what a picture this is of our lives- and at this point in the year, Dec. 22, not only reflective of 2012, but also a potential picture of 2013 that is unfolding. If you are evaluating 2012 (as I am) and you are planning 2013 (as I am), perhaps these thoughts can encourage you and prepare you for what lies ahead. On the trail, sometimes the rocks were quite large- and our pace and progress were definitely slowed. Does that describe any part of 2012 for you? How did you handle that? What were the lessons? As you are looking at 2013, and writing down Plan A, do you have a Plan B? The majority of the trail was strewn with many little rocks-slowing the pace only slightly, requiring adjustment of immediate attention, while continuing to move forward. I thought of the many daily distractions that become momentum-busters, and the necessity to focus on the big picture of what needs to be accomplished for the day, the week, the month. I recently was reminded of this planning tip: Before the end of the day, take time to write down the 6 things you wnat to accomplish the following day. On the new day, start with number one and pursue it until it is done. Then start number two. Whatever is not completed moves to the next day’s list. Brian Tracy calls this technique “Eat That Frog” and further says that if there are two frogs that must be eaten, eat the ugliest one first! Sometimes we were climbing up- and sometimes we were climbing down. During those climbs I was very thankful for the walking pole that I had: it provided stability, so that I could keep my pace fairly consistently, and gave me confidence that I had help if I needed it. What’s your tool? Do you know how to use it? Are you using it? Because we were constantly navigating rocks of various sizes, we were immediately aware of ‘smooth,’ no rocks. We definitely took advantage of the change! Whoever was leading shouted out, “No rocks- let’s make up some time,” and we immediately quickened our pace. When the terrain changes in your life, when opportunity comes, are you ready to move forward quickly and gather momentum- or do you fail to notice the change and therefore lose the opportunity to gain ground? about someone who got lost on this very trail! Many of us are in a ‘people business,’ regardless of our industry. Are you ready to talk to people you meet? I have found that it’s best to have a friendly attitude: ‘to have friends, show yourself friendly.’ It is difficult to maintain a friendly disposition if you are sick, not feeling well, or are ‘under the weather.’ Do your best to stay healthy: maintain (or gain) a strong immune system. If you need some assistance in this area, please give me a call. One of the most rewarding aspects of my business is knowing that I help others to be the best they can be on many different levels, including their health. Hiking is a great metaphor for facing a new year. Both are best done with a good measure of preparation: mentally, physically, emotionally, spiritually. Both hiking and a new year have aspects of predictability and serendipity. Be prepared for both and enjoy the ride! What are you looking forward to in 2013? And how are you preparing for it? I’d be delighted if you would share your thoughts and plans below. Have a blessed Christmas and may your 2013 be your best year ever! Sunday morning I had to locate my sweaters. The temperature has been in the low fifties in the morning here in San Tan Valley, AZ. Numbers like that require more than a T-shirt and shorts on my body! Since we have moved to Arizona, we have the opportunity to make new memories. I connected with Erin on Thursday morning, and Greyson (age 3) and Sawyer (age 1) started on our day together. Because we live where residential meets agriculture, we stopped at Schnepf”s Farm to visit the u-pick fields. With Sawyer on my hip, and Greyson helping me with our wooden baskets, we slowly made our way to the fields (emphasis on slowly!). We got to the squash row, put our basket at the end of the row, and carefully sat Sawyer next to it as the guardian. Fortunately— he sat there very absorbed in simply watching us! That attention lasted through our picking radishes, cucumbers, and spinach. By the time we hit the lettuce rows, Sawyer was much more comfortable, and within a few minutes of being set down, he started crawling toward us! Greyson and I looked at each other and knew that we were done! Cost of the vegetables: about $2.00. 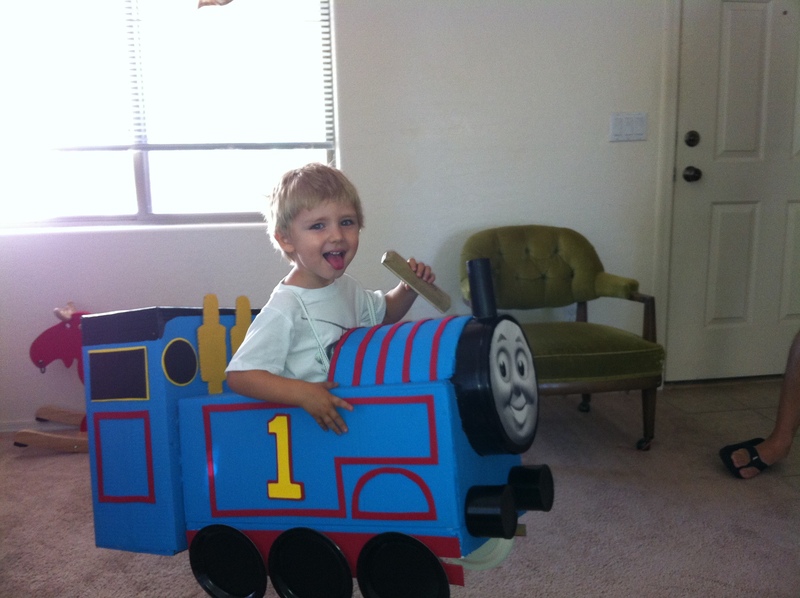 We did much more on Thursday together: walked to the park with Grandpa; watched hummingbirds at the feeder cuddled under a blanket (because that’s how we did it the first time two weeks ago); listened to Christmas carols by Grandpa on the violin and me on the piano; and of course, the boys played with trains. What a wonderful day! Life is much too short. Take the time to make memories! You don’t have to break the bank to do it. Gifts, gift cards, cash…all come and go. The three keys to building relationships- any relationships- are time, truth, and trust. Invest in people- one of two things that last for eternity! Today, spend some time with someone. You might need him/her. S/he might need you. Sometimes you can plan the details. Sometimes you simply have to take the first step. Start walking! Drop me a note and let me know what kind of a memory you made this week! My favorite holiday is this week! Although I am not one to turn down seconds on moist turkey and dressing, tasty veggies, homemade mashed potatoes and gravy, and my own delicious pumpkin pie, I will tell you that food is not the primary reason Thanksgiving is my favorite holiday. My reason is a bit philosophical I suppose. 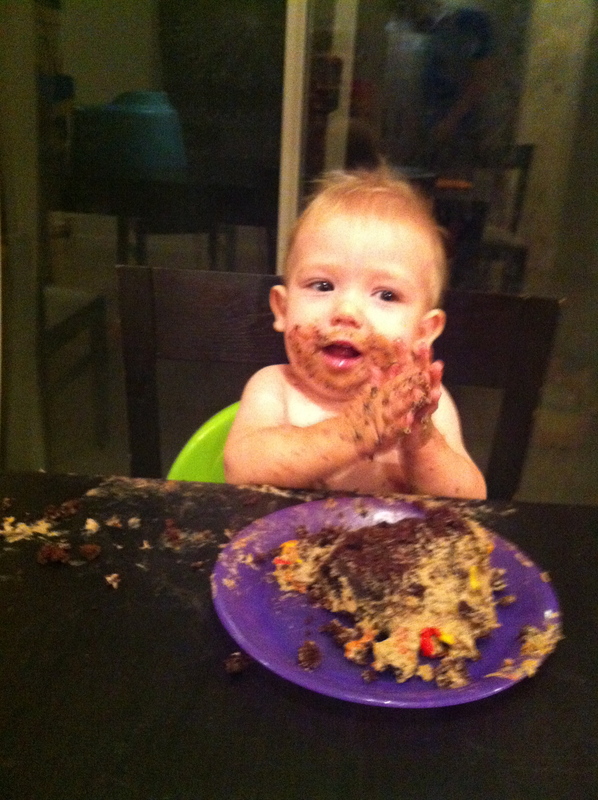 To me Thanksgiving is the “purest” holiday, the one most free of commercialization. Think about it: retailers jump from Halloween to Christmas- with very little if any space dedicated to Thanksgiving sentiment and decorations. After all, Thanksgiving is about giving thanks, being grateful, expressing gratitude. It boils down to celebrating an attitude…and acknowledging that what we have as a country and individuals, as Abraham Lincoln said in his original proclamation, are ‘gracious gifts of the most high God.” Thanking God is not exactly politically correct or socially acceptable in all circles today. That being said, I’d like to acknowledge three things for which I am thankful, and in doing so, I believe you will get a snapshot of who I am today. First, I’m thankful for my faith. As a teenager, I realized that I wasn’t good enough to get to heaven on my own merit. I needed someone else’s perfect life. I came to the point of understanding that person was Jesus Christ and that what He did for me in dying on the cross almost 2000 years ago, changed my relationship with God forever. The result has been a confidence in my future hope after death. Now regardless of what is going on in the world, I have an ongoing personal relationship with God my Father who continues to give me good things. A second thing I’m thankful for is my family. My husband Ed (next month we will celebrate 35 years together!) is a pastor-teacher-professor. and Nathan, living near Seattle, has one son, 7 months old. We are thankful that with our move to San Tan Valley about a month ago, we are on the same time zone- at least some of the year. In addition to being thankful for my faith and my family, I am thankful for the many freedoms that we have because we live in the United States. I’m thinking especially of the freedom to pursue our dreams in our own way. Let me explain how that looks in my life. When we made a decision in 1998 for Ed to return to seminary, I began to consider a home business opportunity. I didn’t want to go back into the classroom; I didn’t want to work for a small hourly wage for someone else and be told when I could take a break, when I could take vacation, etc. I dreamed of an opportunity that would provide an income that I could truly work from home. I found it in an unexpected way. I was introduced to a children’s nutritional product that my boys actually liked- a gummi-bear that was actually 12 fruits and vegetables. I figured I could talk to other moms who would be just as thrilled as I was to find something that could pass through our kids’ mouths and count for fruits and vegetables! My business was a good extension of my previous career as a health and physical education teacher and coach. I have appreciated the continuing education training that I have gotten in nutrition. I am certified as a weight management advisor. Today I am working with a team of social entrepreneurs to provide a solution to global malnutrition of children. Our goal is to link 5 million consumers to 5 million kids who need nutrition, not just food. I think you can see that the dreams that I am dreaming today are much bigger than 14 years ago! Thanksgiving 2008 was the last time that we were all together as a family. Nathan was in the States on a 2-week leave from a tour of duty in Afghanistan with the 101st. We all met in PA. Daniel and Erin told us that we were going to be grandparents (and now we have 3 grandsons!!). We enjoyed a crazy Black Friday walking in NYC (that should tell you something about our family!!). This year we will be with Daniel and family in Gilbert for dinner and then host them for my delicious pumpkin pie at our house. At some point in the afternoon, we will connect with the Seattle DeZago’s via FaceTime. What a special day! In sharing my favorite holiday, I hope that I have given you some food for thought so that you can enjoy Thanksgiving this year with more gratitude than ever before. Below are 5 suggested action steps. Pick one…but be careful! It could change your life! If you have an interest in the nutrition that we are providing for children around the world, watch this video. If you are interested in starting on an effective and affordable nutritional plan, click here. If you have any questions about the need to take responsibility for your lifestyle choices, especially food, click here to watch a 4 minute video. If you want to receive my bi-monthly ezine, Wellness Notes, send me an email (or text 614.804.0291) requesting that your name be added to the list. First issue was sent out Nov. 8. It is a choice- it always is. You can be ripe and rotting- or green and growing. If you are stretching your comfort zone (rather than stepping out of it only to get back into in as quickly as possible), then you are gaining new skills, adding new routines to your life, engaging with new friends, reading new books…you are GROWING! I invite you to grow with me as I will be one of three speakers at a local Columbus, OH event on June 16. Each of us will be presenting from our area of expertise: Dalia will be sharing tools for managing stress, Jovanna will be giving a demonstration that will ignite your self-confidence, and I will be exploring four guardians of your health. A brief description of each of us is available here. We are confident that you will leave our event with tips and tools to make positive changes in your life- if you want to. Check out a short promo video that Dalia and I made at a recent networking event. If you have any questions, contact me via email, mari.dezago@gmail.com or give me a call 614.804.0291. Are you ready to grow? Take a step in the right direction and join us on June 16, DeVry University, Room 305, Polaris campus, 9:30-11:30. Register here. My first business mentor, Patti, made an interesting comment during one of our early conversations. Fourteen years later, I still agree with that assessment. Owning your own business is an amazing vehicle for personal evaluation and development. Areas of your life that were not an issue suddenly become very visible to everyone, including yourself! Whether you are a sole proprietor, managing employees, or recruiting others into your business, you are undoubtedly looking at things differently than when you were an employee. Although I discovered there is a continual flow of decisions that a business owner must make- marketing, vendor choices, best use of work time, family time, ROI- my biggest challenge in being a business owner is coming to grips with who I am as a person: fine-tuning character qualities that seemed to be OK, until they were put into the daily context of dealing with customers and making business decisions. Dr. Robert Rohm of Personality Insights, a psychologist and corporate trainer from Atlanta, GA, and a speaker at a recent conference I attended, addressed ten components of LEADERSHIP. One of those qualities was integrity. He reminded me that integrity is doing the right thing even when it is inconvenient or doesn’t make sense to anyone else. I never thought much about this issue of integrity until I became a business owner. I had already been a teacher, a successful coach, a pastor’s wife, a mom, a friend. I figured I had done an OK job of doing what I said I was going to do. If I didn’t do it right away, no one seemed to notice, including me. I didn’t get called on it. There didn’t seem to be any big consequences if I didn’t follow through in a timely way. Maybe you can identify. Then I started my business. I dealt with customers, with corporate deadlines, with other people’s expectations. Gradually it occurred to me that I could not continue to be inconsistent with what I said and what I did. In fact, I realized that sometimes when I didn’t follow through, it cost me a customer, or money- or both! But there was a subtle personal cost. My actions were not in alignment with my values, and the more times I acted without integrity, the further I drifted from who I was or thought I was or wanted to be. The results were internal chaos and business paralysis. I had to realize that my word is my reputation.Integrity is as important in business as it is in friendship and family. Integrity is a personal quality that is crucial in life. Consequently I have become much more conscious of being consistent with my words and deeds. And I am on my way. What about you? Have you said you were going to call someone- and then neglected to do so? Have you said you were going to send someone a piece of information- and let it slip right out of your mind? Have you committed to a meeting or an appointment and let a minor distraction derail you? Here’s my suggestion: Get back on track. Let your yes be yes, and your no, no. That directive is not original: it’s from Matthew 5:37. Apparently there is a universal need for a reminder to be honest with our words! What are your thoughts? Please leave your comments below. 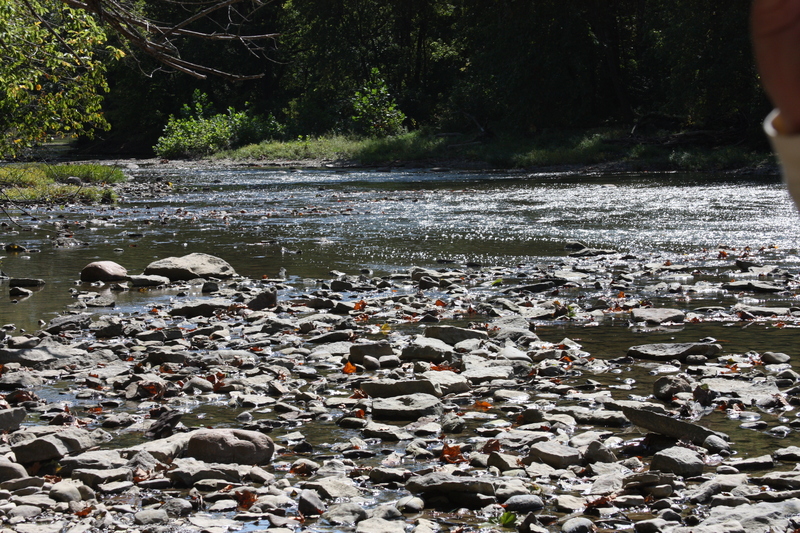 Ed and I were walking recently at Highbanks, one of our metroparks. 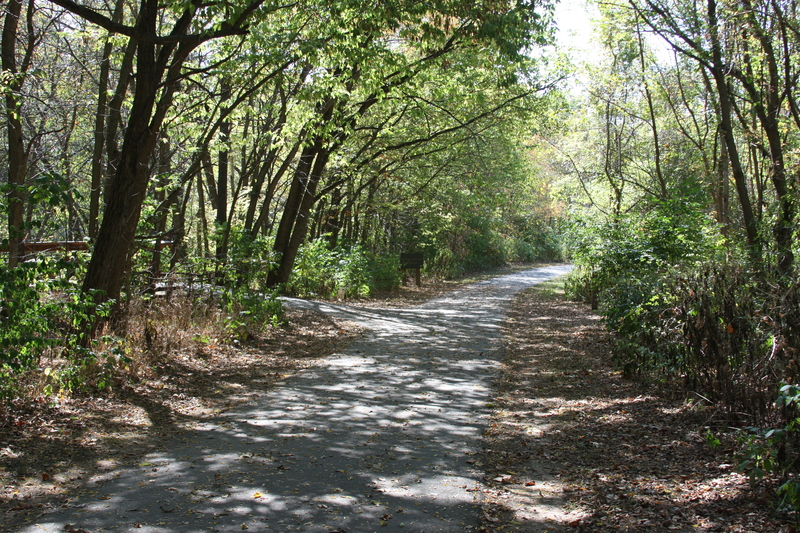 About 7 miles of trails that include hills, stairs, and straight-aways make Highbanks an attractive place for casual and serious walkers, as well as families. On this particular day, as we were walking up the ‘very long hill,’ we came upon a mom with three children, a young boy about 4, a girl about 6 and the oldest girl about 8. Interesting, all three children had ‘walking sticks.’ The girls were using them in ‘walking-stick fashion’- that is, holding the stick at one end, planting the other end, and allowing the stick to help them walk. The young boy, however, was brandishing the stick like a sword. You might ask, ‘How can that be?? ?’ We had boys—we weren’t asking that question! The girls were ahead on the trail, but the mom was with the young boy. ‘I can’t make it up the hill,’ we heard him say to his mom. ‘Take my hand, and let’s do it together!’ the mom wisely answered as we passed them…and I believe that together they got up the hill. What a great visual for the best way to get a job done! Is there a project under your direction that is lagging? It could be in your family, it could be at work, it could be a church or community project. Is there someone who is falling behind with his or her responsibility in the project? Do they need some assistance? Do they need some encouragement? Go for it! And let me know what happens when you do. I’d be delighted if you would leave your comments below.